In 1 Corinthians, chapter 9, St. Paul talks about the discipline of a runner and how that applies to the Christian life. Each spring, students have the opportunity to participate in track and field to learn the "fit for life" approach of disciplined running and body mechanics. St. John is joined by athletes from All Saints Catholic school in Berlin. Together the schools can offer more opportunities for relays and track events as well as field events, such as high jump, long jump, shot put, etc. Practices are held during the week after school. Meets are held on Saturdays in April, May, and the first Friday of June. 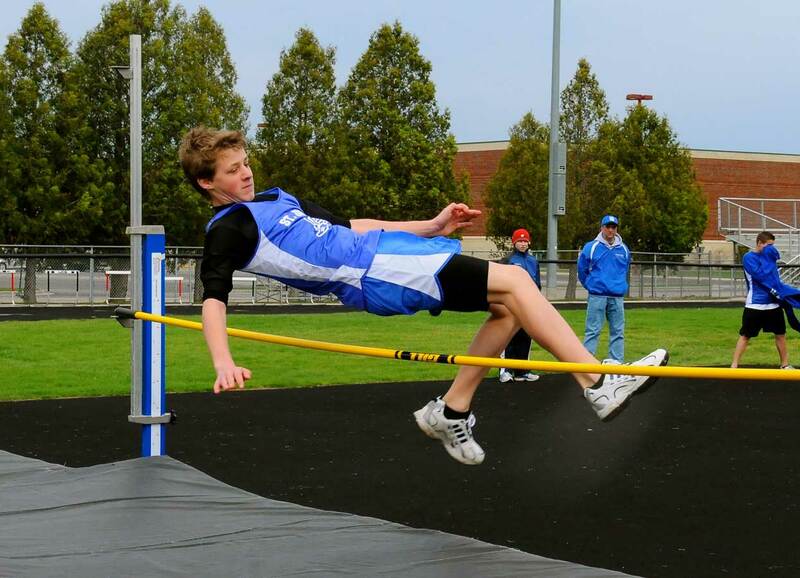 The first competition of the season is our own St. John-sponsored home meet at the Berlin High School. This meet is held each year on the last Saturday of April as a memorial to Tom Manthei, who was a long-time track coach, runner, St. John parent, and leader of our congregation. The Tom Manthei invitational serves as an excellent learning experience for younger and first-time track athletes while providing significant competition for runners at the middle school level. The Berlin meet takes numerous volunteers to make it a success. If you love the sport or just love to run, please consider donating your time to help out. There is always room for statisticians to secure results from meets!